No one is ever too old for orthodontic treatment. However, more and more adults are seeking an alternative to traditional metal braces, which are normally bulky, conspicuous and uncomfortable. Dentists like Dr. Robert Milner are able to straighten teeth in a way that is discreet, comfortable and effective. Read on as Dr. Milner explains this incredible option. Many of Dr. Milner’s adult orthodontic patients opt for treatment with “invisible braces,” which is a system of clear, removable aligners that treat crooked or crowded teeth. Normally, patients wear 10 to 20 sets of upper and lower aligners throughout the duration of treatment. If you are interested in invisible braces, you will meet with Dr. Milner so he can evaluate whether you are a suitable candidate for this option. If he thinks that it will help you achieve your orthodontic goals, he will send photographs, impressions and measurements of your mouth to the laboratory that customizes your aligners. When you receive the first set, you should wear them for 20 to 22 hours a day, removing them to eat, drink, brush and floss. The aligners will gradually move your teeth into the desired position and alignment. After about two to three weeks, you will receive your next set of aligners and should swap them with your previous set. You should notice that the aligners feel very comfortable in your mouth; the plastic material should not irritate your gums, tongue and soft tissues of your mouth like traditional metal brackets and wires can. Also, since the aligners are thin and clear, they should be very discreet in your mouth. Virtually no one will be able to tell you are wearing them — it can be your little secret! Every case is different, but many adults that wear clear aligners are able to see results in less time than they would with traditional metal braces. Once you finish treatment, you may be fitted for a special retainer to help maintain your new tooth position and alignment. 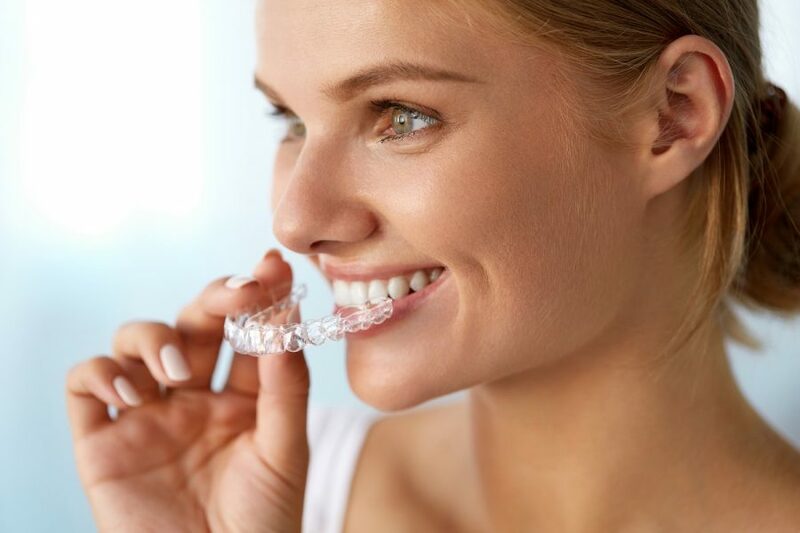 If you are interested in learning more about how invisible braces can straighten your teeth comfortably and discreetly, please contact our office today and request an appointment with Dr. Milner. Call 949-859-8899 or email us today.